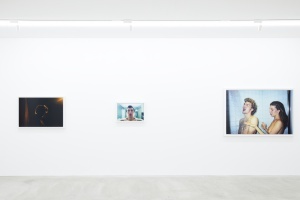 Tomio Koyama Gallery is pleased to present “MY NY”, a much-awaited solo exhibition of works by the photographer Ryan McGinley. 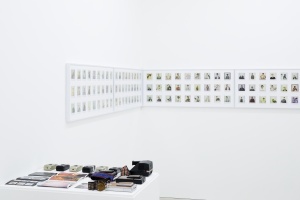 This marks the artist’s first exhibition in Japan in two years. 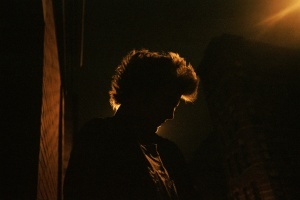 Ryan McGinley receives high international acclaim for his work, and is recognized as one of the most distinguished photographers of his generation. Noticed for his talent with the self-published release of his book of photographs “The Kids Are All Right” in 2001, McGinley became the youngest artist ever at the age of 25 to receive the honor of presenting a solo exhibition at the Whitney Museum of American Art in 2003. Ever since, he has been a celebrated figure of the times both within the world of photography and within the world of art. McGinley’s work vividly captures the moments in which the joys of freedom and youth overflow from his subjects with their certain sense of insecurity, as well as the emotional depth of languor and sensitivity. His unique perspective of the world that represents the essence of the times has continued to fascinate viewers throughout the world. As a photographer who constantly maintains a positive and fresh sensibility throughout his career of over 15 years, McGinley can indeed be regarded as figure whose name will be remembered in the context of 21st century photography. 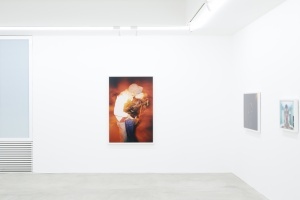 McGinley has held exhibitions in Japan including his first ever solo exhibition in Japan at Tomio Koyama Gallery in 2012, followed by “Ryan McGinley: BODY LOUD!” at Tokyo Opera City Art Gallery in 2016. This exhibition that was McGinley’s first solo presentation at a museum in Japan had presented over 50 representative works selected by the artist himself, and had received significant acclaim from audiences. 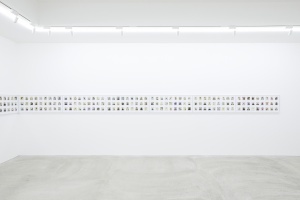 The exhibition at Tomio Koyama Gallery on this occasion marks the artist’s first exhibition in Japan in two years. 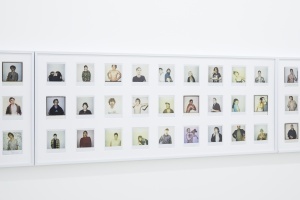 “MY NY” presents approximately 10 works that had been featured in McGinley’s solo exhibition “The Kids Were All Right”, held at the Museum of Contemporary Art, Denver in 2017. 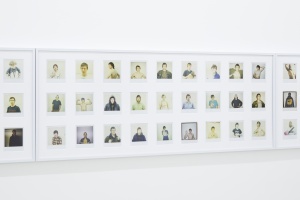 These works were initially published in McGinley’s legendary book “The Kids Are All Right”, which consisted of photographs he had taken between 1998 and 2003 of his friends and artists in downtown New York. 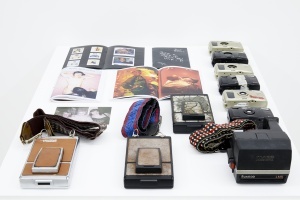 In addition, the exhibition showcases a series of Polaroid works first ever presented at the above mentioned museum exhibition, alongside the camera McGinley had used in the early days of his career, and his ZINE made at the time. The exhibition serves as a valuable opportunity to witness works that convey “the origins of his expression” for the very first time in Japan, and is in itself a testament that McGinley’s distinct perspective of the world had been established from the very onset of his practice. McGinley enrolled at the Parsons School of Design in New York in 1997. After studying design, painting, and poetry, he began pursuing photography in 1998. At the time McGinley had lived in downtown New York where he had experienced a mutual fascination with fellow artists such as Dash Snow, Dan Colen, Agatha Snow, and creators like Earsnot, gathering together every night and forming an almost family-like relationship. Presented in this exhibition are works from Ryan McGinley’s early days as a photographer, which captured the enthusiasm of the boldly dynamic, free-willed, and hedonistic lifestyle of such contemporaries. As McGinley himself states how he “felt the great urge to take photographs day after day, that it was almost like an obsession,” he had spent over six years of days using up to 20-40 rolls of film until the digital camera was introduced in 2003. At a time when there were no mobile phones equipped with cameras, and before the era of the Internet, it had been highly unusual to continue taking photographs to such extent outdoors. The United States at the time had been under the presidency of George W. Bush, and was a period of despair for many in the wake of the 2001 September 11 attacks. In spite of such times, McGinley’s work presents an air of beauty and conveys to us viewers how each moment of everyday and life itself is that which is full of cheerful curiosity and excitement. 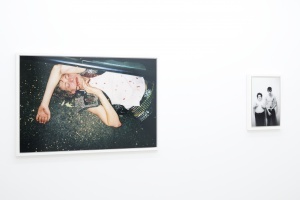 McGinley had featured these works in his self-published book The Kids Are All Right that was produced in a ZINE-like format at a limited edition of 100 copies, sending them to magazine companies, galleries, and the artists he respected, ultimately leading to the opportunity of holding his solo exhibition at the Whitney Museum of American Art. McGinley had created a means for his personal expression through producing his own new form of media. After the great success of his 2003 solo exhibition at the Whitney Museum of American Art, McGinley left New York to travel throughout the United States, during which he began engaging in a more contrived and directed means of photography. Such works include his “Road Trip” series taken while traveling across the US with his friends, the “Moonmilk” series photographed the spectacularly dream-like spaces of underground caves, and the “Fall & Winter” series in which he photographed his subjects in natural settings from the fall to winter season. Through these works McGinley had discovered new grounds for his artistic practice, placing his naked subjects in vast and breathtaking landscapes to roam and cavort freely as they please, thereby capturing a sublime and mystical view of the world. In his 2012 “Animal” series he had selected animals as his subject, challenging himself to create works that demonstrate an unprecedented sense of delight and humor. The images presented in this exhibition capture the exciting exchanges and lifestyles McGinley experienced in New York and present themselves as seeming predictions of contemporary digital society where the boundaries of private and public are mixed, surprising viewers with the artist’s sharp sensitivity towards the times. McGinley’s “MY NY”, as its title suggests, is a reflection of his days in New York that serves as the very origin of his creative practice. 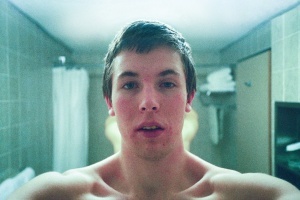 Ryan McGinley was born in Ramsey, USA in 1977. Lives and works in New York. He graduated from B.F.A. in Graphic Design, Parsons School of Design, New York. He has shown his works in a vast number of exhibitions in the world. His major solo exhibitions include “The Kids Are Alright”（The Whitney Museum of American Art, New York, 2003), “New Photographs”（MOMA PS1, New York, 2004), “Laboratorio 987: Entre Nosotros”（Museo de Arte Contemporá neo de Castilla y León, Spain, 2005), “Project Space”（Kunsthalle Vienna, Austria, 2006), “Magic Magnifier: Photographs 1998 to 2013”（Daelim Museum, Seoul, 2013), “Ryan McGinley: BODY LOUD!”（Tokyo Opera City Art Gallery, Tokyo, 2016) and “The Four Seasons”（Galleria d’Arte Moderna e Contemporanea, Bergamo, Italy, 2016). 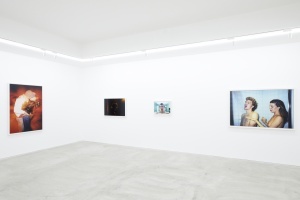 Tomio Koyama Gallery and 8/ ART GALLERY/ Tomio Koyama Gallery concurrently held his solo exhibitions in 2012, his first in Japan. His works are included in numerous public collections including Solomon R. Guggenheim Museum (New York, USA), San Francisco Museum of Modern Art (USA), Museum of Fine Arts, Houston (USA), Smithsonian National Portrait Gallery (Washington D.C., USA) . For more information on the artist, please see the following URL.